Summer is most commonly associated with rest, relaxation, vacation and fun in the sun. But why stop there? I propose we add one more to the list—“service in the sun.” Between the warmer weather, longer days and lighter workload, the summer months provide a perfect setting for a community service project. Volunteering increases overall life satisfaction and helps you feel good about yourself because you are helping others. It can also help to ease depression and extend your life, according to research published in “BMC Public Health.” The systematic review and meta-analysis by Dr. Suzanne Richards at the University of Exeter Medical School in the UK found that volunteering is associated with lower depression, increased well-being, and a 22% reduction in mortality. Recent studies have shown that volunteering isn’t just good for your mind, it’s also good for your body. When focusing on others’ problems instead of their own, students reported reduced stress and overall improvement in mood and health. A study done by United Health Group found that 94% of people who have volunteered in the past twelve months say that volunteering improves their mood, and 76% reported that it made them feel happier and healthier. 78% of volunteers say that it lowered their stress levels. Serving your community helps enhance personal knowledge, promotes growth from new experiences, increases social awareness, and advances interpersonal communication skills. Such interactions release a hormone called oxytocin, which helps us bond and care for others. Volunteering is an effective way to meet like-minded individuals, make new friends and forge connections with future business contacts. Most importantly, the work you do makes a real impact in the world. Currently, 63 million Americans volunteer about 8 billion hours of their time each year, which according to Independent Sector, is valued at $24.14 per volunteer hour. The estimated value of this work is approximately $193 billion, which is more than the GDP of Ukraine—just in volunteer hours! This summer, I invite you to enjoy some service in the sun and feel free to share pictures of your work with us using #theNSLS. To find a volunteer opportunity in your community, click here. Continue reading below in the Monthly Motivation section for 15 Unexpected Benefits of Volunteering That Will Inspire You. NSLS Cap:This thick stitch cap has a washed finish that also keeps it soft and comfortable. It features the NSLS's Greek Sigma Alpha Pi letters in red across the front and a self-fabric hideaway strap with metal D-ring slider. Due to the special finishing process, distress and color may vary. Team NSLS Baseball Tee: No matter which baseball team you root for, we are all Team NSLS! Show your team spirit in this soft, classic baseball tee with a vintage vibe featuring a distressed NSLS graphic and contrast 3/4-length raglan sleeves. 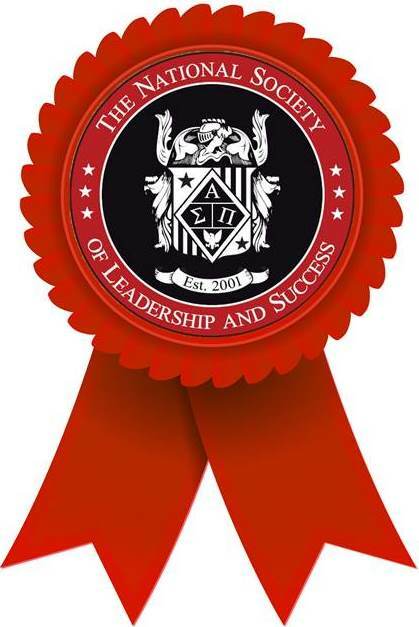 The NSLS has partnered with Leadercast to provide supplemental leadership content as an exclusive member benefit. Leadercast exists to help people become Leaders Worth Following, as the NSLS’s mission is to continue building leaders who make a better world. In partnership, Leadercast and the NSLS have curated a list of video resources, with associated Take Action steps, to support your growth and development as a leader. Enjoy six videos for free! If you like what you see and want to continue with more valuable content, Leadercast offers NSLS members an annual membership for just $49. Click here for more information. For over 25 years, Women in Technology (WIT) has provided educational programming to inspire young girls to pursue careers in science, technology, engineering, arts and math (STEAM) and improve opportunities for women in the industry. WIT Connect, WIT’s annual event, brings together more than 700 of Atlanta’s top technology leaders for a night of networking and fundraising. This year’s event is presented by GE Digital and will feature the special presentation of $115,000 in scholarship funds to 12 individuals—members of WIT Girls, WIT Campus and STEAM professionals. These exemplary women have competitive academic standing, an interest in STEAM, have been active participants in WIT Girls or WIT Campus, and demonstrate leadership in STEAM-related activities and careers. Shout out to Clayton State University NSLS member Alexis Orivri, WIT Campus State Farm Scholarship Recipient! Alexis is a computer science major and business minor. In the future, she plans to become a software engineer or financial analyst. 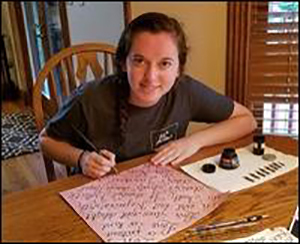 Needing to choose an art course during high school, Julia Myron was seemingly stuck with calligraphy. It was the only course that fit her schedule while a junior at Quigley Catholic High School, and her knowledge was limited, to say the least. Shout out to Society Little Leader Award recipient Michael! 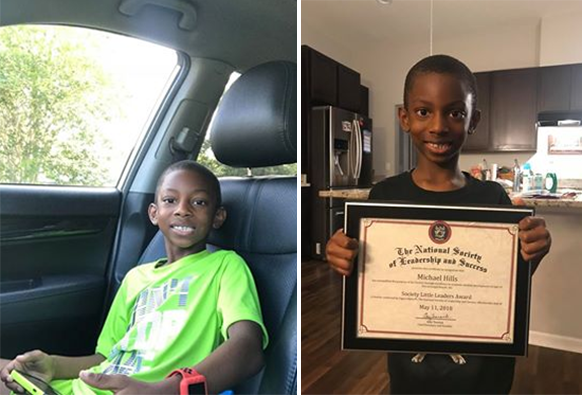 Through the Society Little Leader Scholarship, Michael is attending a summer program where he has been learning self-control, focus, discipline, problem solving skills, and hard work. Pictured above: Michael on his way to his first day of the summer program and with his award.